I hate all my ID pictures. Seriously, I’ve never had a good one, whether it was for school, work, driver’s license, or passport (I can hear already my family laughing at the mention of this, since my horrendous passport picture has already managed to have airport security in countless countries do triple-takes at me and remark how much weight I’ve lost, even though I haven’t, etc. etc….it’s not fun). So, a few weeks ago, I needed to get my driver’s license renewed and was thinking, OK — this time I’m going to really try and actually take my time getting ready. I get there…and it was closed. Of course it would be, because I GOT READY FOR IT. 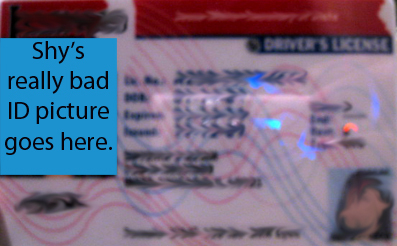 The next day, I was passing by the DMV again decided to try again, this time totally unprepared. I tried to quickly pat down my hair, a little lip gloss, you know…anything that might help. When it’s picture time, I sit down and hardly without warning, the old man behind the camera snaps away. He stops to look at the picture, pauses, and then says, “OK…just one more.” Great, here we go again. It’s fine?? This doesn’t sound promising. Sure enough, ten minutes later, he hands me Ugly ID Picture #2342. Just another one to add to to the collection. So, yes, I pretty much accepted the fact that I’ll probably never have a flattering ID, and envy those with their beautiful pictures who barely blink when asked to show ID. Then I thought, maybe I just don’t know how to pose for a picture. I turned to bi-coastal photographer, Peter Hurley, an expert on headshots, for some tips. He told me, despite the poor lighting, dull background colors, and almost-zero time to prepare right before getting your picture taken, there are a few things you can do for a more covetable ID picture. Instead of flashing a toothy smile (or none at all), keep your mouth closed and only smile slightly. “A slight smile adds some warmth,” he says. OK not literally. Hurley says bringing your neck forward and leaning slightly out will have the effect of a tighter jawline, thus taking off the extra 10 pounds the camera adds. Leaving hair loose is fine, but just remember for a straight-on shot, make sure you keep your hair hanging over both your shoulders. “If you have long hair behind your shoulders, it just looks cut off and won’t turn out nicely in the picture,” Hurley says. Make sure your hair on either end is resting neatly between your shoulder and neck — meaning both sides are not meeting in the middle, and you’re also keeping your hair off your shoulders. Keep it tight. To go in with a 5 o’clock shadow or not? “This flattens the picture,” Hurley says. Though, he adds, this also depends greatly on the color of the background. Since you probably won’t know what that color will do, go for something vibrant. Standard ID pictures are usually shot with blue backgrounds, so you want to avoid wearing shades of blue that will just blend in. The more contrast, the more your photo will pop. OK, now I REALLY wish I talked to Peter before getting my picture taken. I guess there’s always 2014. 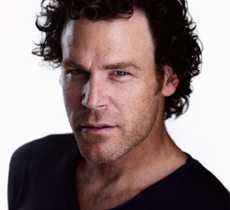 Peter Hurley is a NYC and LA-based photographer. Check out his website www.peterhurley.com for more picture-taking tips. HAHAHAHHAAHH when i saw the name of this post, I was prraying you put up the infamous passport picture!! do it do it! I was going to put up a video of you guys passing my passport picture around the dinner table and laughing but I can’t find it….laugh all of you…LAUGH. I love it. I’m in the process of getting a new license and am definitely going to utilize some of these. Knowing my luck it’ll still be horrendous, but it’s worth a shot. I remember at Northwestern I had an awful student ID photo, and technically they only replace those if you lose them/change enough that you no longer resemble the picture; but when I went back at the start of my sophomore year I thought, maybe they’ll be kind and let me get a new one without paying, and in turn the dude at the desk took my ID and said “yikes…you are definitely long overdue for a retake”. Even for my passport, the guy who took the picture look at it, and is like ‘hmm, do you want take another one?’ and I just no i don’t care…still being made fun of for that picture til this day. Oh lord, I can relate to this. While we were in India this summer, whenever Deena was in a bad mood or something, she’d ask to see my passport. Then, without fail, she’d look at it, laugh for about four minutes, and then, between wheezing, “Every. Time. This never gets old.” and then hand it back. It’s horrible, and definitely beats out my old student ID picture…which my friends called “Shaggy Dog.” Here’s another tip – don’t get your photo taken after walking across campus in the rain during the same period you’re trying to grow out your bangs. Sooooo. I found this post and took all the advice for my Drivers License picture. I must say, besides from being like 10x tanner than I already am, the advice worked! The only thing I would probably change is the “smile slightly” one. I’m using “cheesing” in all my pictures so my slight smile came out creeperesque. I wore a coral shirt that day, I think it helped the picture pop a little too. Thanks Shy/Peter!